Hello music lovers and welcome to my daily ramblings. I plan to bring you whatever's on my mind about music, recording, the future, a look back at times in the studio, answer questions, etc. We're looking to start the daily emails in April 2018. We have nearly 1000 people signed up and ready to receive their daily dose! At the moment, I'm listening to Alex de Grassi, Special Event 19.. Shenandoah. You can check out a full length preview (on youtube) here. Have you ever heard of Alex de Grassi? He was one of the original artists on Windham Hill that set the stage for the labels success. I worked at Windham Hill in the golden years (late 80's, early 90's) where I first met Alex. 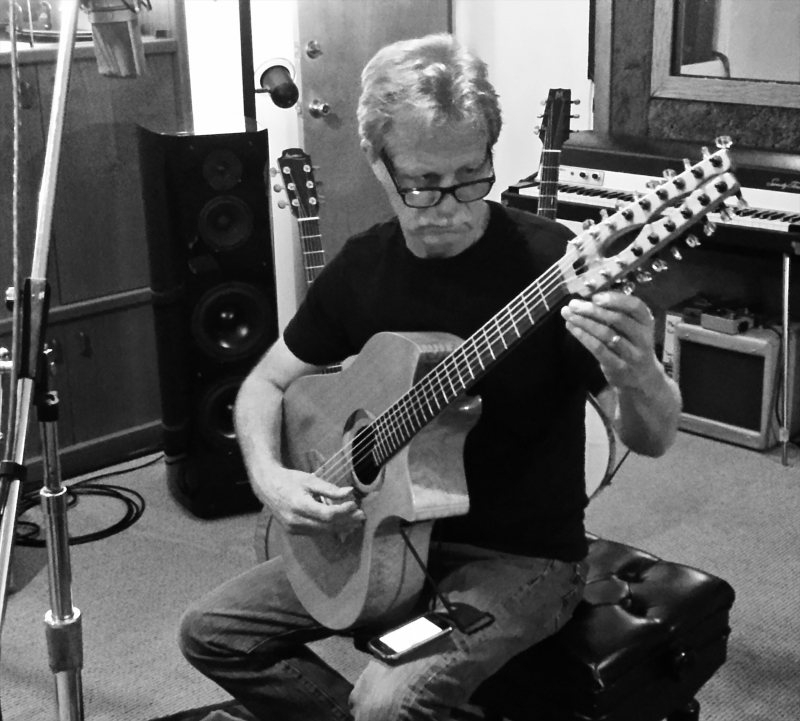 We worked on a solo guitar album back then for Windham Hill and have been friends and music pals ever since. Alex has mastered a variety of acoustic guitars, but this one in particular, is amazing -- the Sympitar. It's a combination of a guitar and sitar meaning... it has additional strings under the main set that aren't played but resonate when other notes are played. It's a beautiful sound. Shenandoah shows Alex and the instrument off well. This album was recorded direct to DSD in the studio using our Extended Sound Environment (E.S.E.) technique to the Sonoma system. If you have any comments or questions, be sure to leave them on the blog comments. We moderate the comments to keep things civilized so give us time to approve. Want to sign up to receive your Daily Dose by email? Sign up to the newsletter here at DSD-Guide.